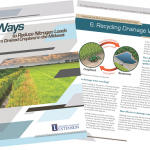 Purdue University Agricultural Drainage - Research and Extension - Provides information on drainage and water quality, controlled drainage (Drainage Water Management), and drain spacing research and recommendations for Indiana cropland. Iowa State University - Ag Water Management Research Group - A multi-tiered effort to provide research, extension, and education resources analyzing agricultural drainage practices in Iowa. This is also the host site for a webinar series on ag water management with involvement from multiple research institutions including South Dakota State, Iowa State, Minnesota, Purdue, Ohio State, Missouri, North Dakota State, and Illinois. North Carolina State University - Soil and Water Management Group - Site for research and extension programs in agricultural water management. Includes information related to research projects, publications, presentations, and drainage models. South Dakota Water Resources Institute - Tasked with providing leadership on water concerns in South Dakota through research, education, and outreach. Includes link to project reports from past research projects focusing on agriculture and conservation drainage. 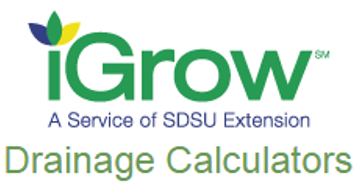 Also, drainage calculators have been developed by iGrow, a service of SDSU Extension. 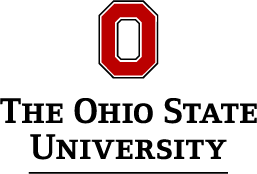 The Ohio State University, Agronomic Crops Team, Soil and Water Management - Includes a number of Ohio resources on agricultural drainage and water table management systems. You can also find information on the Overholt Drainage School, a continuing education opportunity for drainage contractors, conservation technicians, producers, and engineers. University of Minnesota Extension Agricultural Drainage Program - Technical and educational resources geared towards drainage contractors, producers, consultants, and local legislators. University of Missouri - Lee Greenley Jr. Memorial Research Center - Missouri's NE research center focused on evaluating balanced management between crop production, soil conservation, water quality, and energy efficiency and headquarters for the MU Drainage and Subirrigation Plots (MUDS).